Lovely, moist, and chocolaty, the sweet potato and spices hint of fall and make this a sure crowd-pleaser that’s perfect for potlucks or buffets. This is an adaptation of Mary Evans’s recipe from her book Vegetable Creations. She is a highly skilled teacher, a cooking school operator (she gave me my first chance at teaching 25 years back), a gifted author of multiple books, and a great baker as well. This recipe is a testimonial to her acumen. ON-DEMAND: Listen to Faith and Raghavan Iyer talk about this recipe, as well as other recipes from Raghavan’s book. 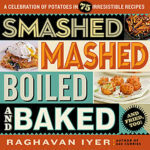 Excerpted from Smashed, Mashed, Boiled, and Baked – And Fried, Too! By Raghavan Iyer. 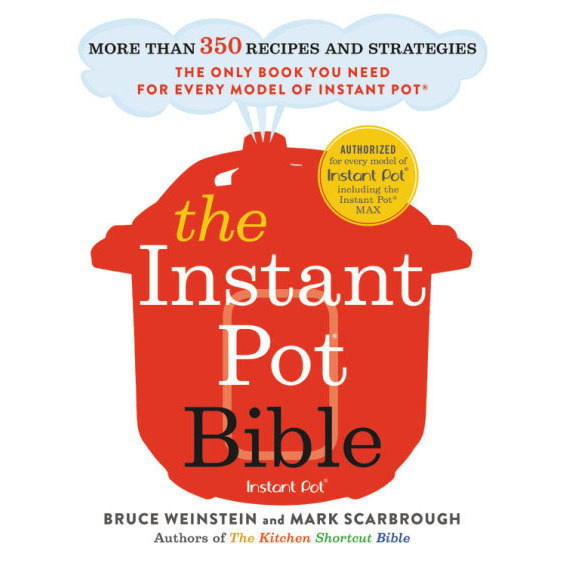 Published by Workman Publishing Co., Inc. Copyright © 2016 Raghavan Iyer. Photo by Matthew Benson. The flavors in this beautiful dessert emerge best when the cake is made a day before you plan on serving it. Peel the sweet potatoes and give them a good rinse under cold running water. Cut them into small chunks. Place them in a small saucepan and cover them with cold water. Bring to a boil over medium-high heat. Partially cover the pan, lower the heat to medium-low, and gently boil the potatoes until the pieces fall apart easily when pierced with a fork, 10 to 15 minutes. As the potatoes cook, position a rack in the center of the oven and preheat the oven to 325°F. 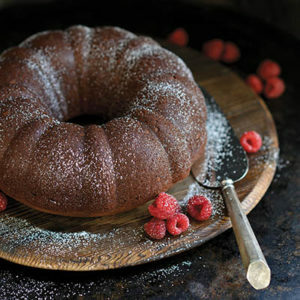 Spray the inside of a 12-cup Bundt pan or tube pan with baking spray. Sift together the flour, cocoa, baking powder, baking soda, nutmeg, peppercorns, cinnamon, cloves, and salt into a medium-size bowl. Stir with a whisk to blend thoroughly, about 30 seconds. Once the sweet potatoes have finished cooking, drain them in a colander. Give the colander a good shake or two to get rid of excess water. Return the potatoes to the pan and mash them with a potato masher until smooth. Place the butter in the bowl of a stand mixer and attach the whisk. On medium speed, beat the butter until it is very creamy, about 3 minutes. (If you don’t have a stand mixer, a handheld mixer will do the trick as well.) Sprinkle in the sugar and continue to beat on medium speed until very fluffy and pale, about 3 minutes. Beat in the vanilla until just blended. Add 1 egg and beat on low speed, just until combined, about 15 seconds. Add the remaining eggs, one at a time, beating on low speed just until combined, about 15 seconds per egg, scraping down the bowl after each addition. Still on low speed, add half of the flour mixture; beat only until just blended, 30 to 45 seconds, scraping the bowl halfway through. Add the sweet potatoes to the batter and beat again on low speed until just combined, about 15 seconds. Scrape the bottom and sides of the bowl. Add the remaining flour mixture and beat on low speed until just combined and smooth, scraping the bowl halfway through, 30 to 45 seconds. Spoon and scrape the batter into the prepared pan; smooth the top with a spatula and tap the pan on the counter to settle the batter. Bake until the top is firm to the touch and a skewer or knife inserted in the cake comes out clean, 55 to 65 minutes. The top of the cake will be rounded and cracked in the center, but that’s okay. Transfer the pan to a wire rack and let the cake cool in the pan for about 10 minutes. Invert the pan and turn out the cake onto the rack to cool completely, 2 to 3 hours. Wrap the cake tightly in plastic wrap until you’re ready to serve. The recipe wasn’t tested that way, but that doesn’t mean you can’t try. 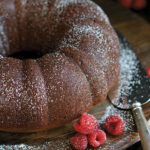 The general rule for cake pan conversions: increase or decrease the baking time, not the temperature. And be sure not to overfill your loaf pans or the batter will spill over the sides.